Hello! My name is Aaramus and I’d like to talk to you about our defensive lord and saviour… no not Nuffle!…Screening! 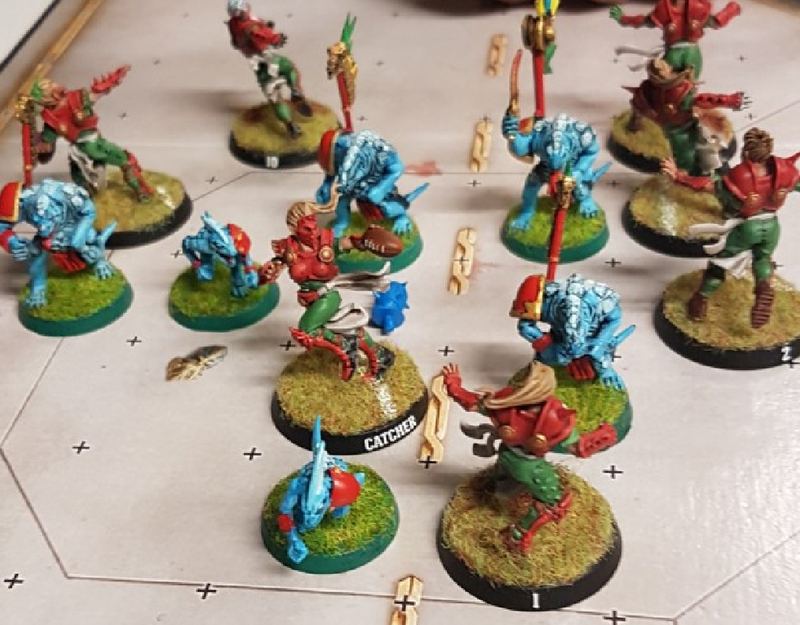 It’s a little more complex than basing, but it can have a very high pay off when used effectively, essentially making it nearly impossible for the opponent to score in some situations. As with marking, some teams are better at it than others (Elves and other fast teams are particularly good at it) but a body in the way is still an obstacle to overcome.